Stocks have been on a monster rally this year, having the best two-month start to a year since 1991. But Wells Fargo strategist Chris Harvey warns that investors should not get complacent because three major catalysts could send market volatility spiking once again. As stocks trade near record highs, the CBOE volatility index (^VIX) fell back into the low teens and closed at 13.91 on Wednesday after hitting a high of 36.20 the day after Christmas. The VIX, also known as the fear gauge, has been trading in a relatively low range since the beginning of 2019. Harvey outlined three main scenarios that pose the biggest threat to the market right now. First, the potential for a flood of negative pre-earnings announcements. Earnings season is back in full force in a few weeks, and Harvey explained that if companies warn of weaker outlook ahead of their reports, investors could see another spike in volatility. If history is any indication, the market doesn’t like it when major U.S. corporations warn investors of weaker-than-anticipated earnings announcements. On January 2, Apple (AAPL) lowered its revenue outlook ahead of its fiscal first quarter earnings report. The Dow (^DJI) plunged more than 650 points following the announcement. The second catalyst could be more uncertainty and flip-flopping in regards to the U.S.-China trade war. Markets are highly sensitive to any amount of incremental news out of Washington or Beijing when it comes to the ongoing trade war. There is still a lot of uncertainty in terms of the amount of progress that has been made so far as the deadline to reach a deal continues to get pushed back. On Wednesday, stocks fell to session lows after President Trump made comments indicating that the tariffs on over $250 billion dollars of Chinese goods would stay in place indefinitely until a substantial trade deal is reached. Nevertheless, the president also stated that the talks were “coming along nicely.” Both U.S. Trade Representative Robert Lighthizer and Treasury Secretary Steven Mnuchin are scheduled to fly out to Beijing next week for another round of high-level trade talks. Third, following the Federal Reserve’s March interest-rate decision, Harvey doesn’t believe the Fed can get any more dovish than it is now. The central bank announced that it will not be raising short-term interest rates for the rest of 2019 and only projected one rate hike in 2020 and 2021. 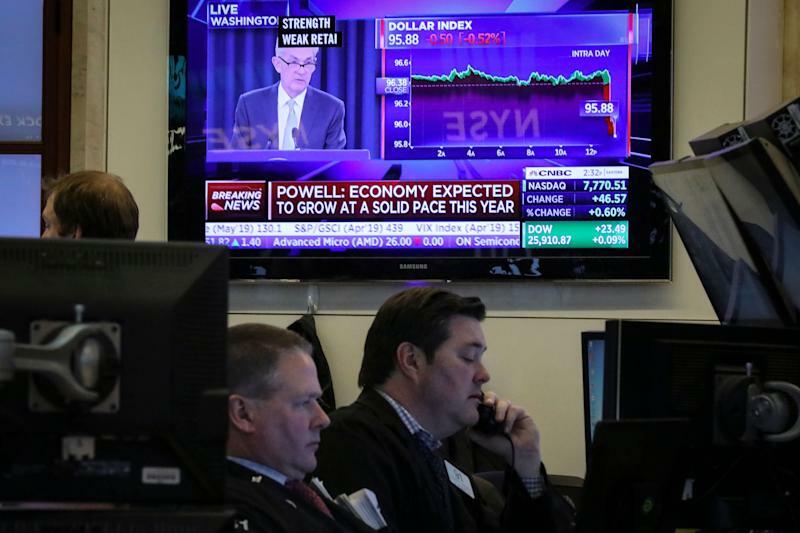 The market reacted extremely positively to the announcement and to Fed Chair Jerome Powell’s comments, and the Dow pared its early losses and turned positive before ultimately ending the session more than 140 points lower. “Going forward, we expect equities to be VERY reactionary to any perception changes regarding the Fed's Dovish stance,” Harvey said.